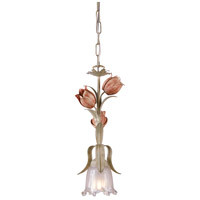 The Southport collection is evocative of vintage tole fixtures. 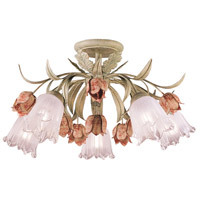 Each of the wrought iron fixtures features decorative hand painted flowers in a sage and rose finish. 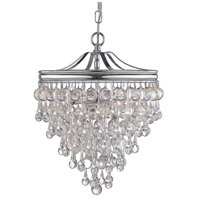 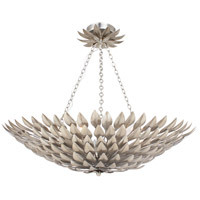 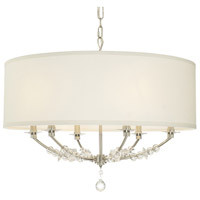 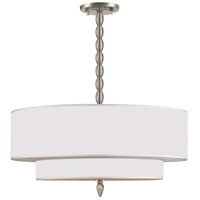 The high-end designer finish on this ceiling mount lends a contemporary feel to the whimsical collection. 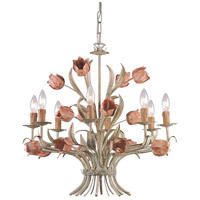 Bring the beauty of nature into your dining room, entryway, or any other space which needs a bit of a floral whimsical accent.